Finding a good skin care product is often a matter of researching the different companies and what sort of products they have to offer. In addition, it sometimes comes down to trying various products out for yourself to see which works the best for you, since not only may your experience be different from the experience of people who write reviews on said products, but you also simply can’t trust reviews outright all the time anyway. 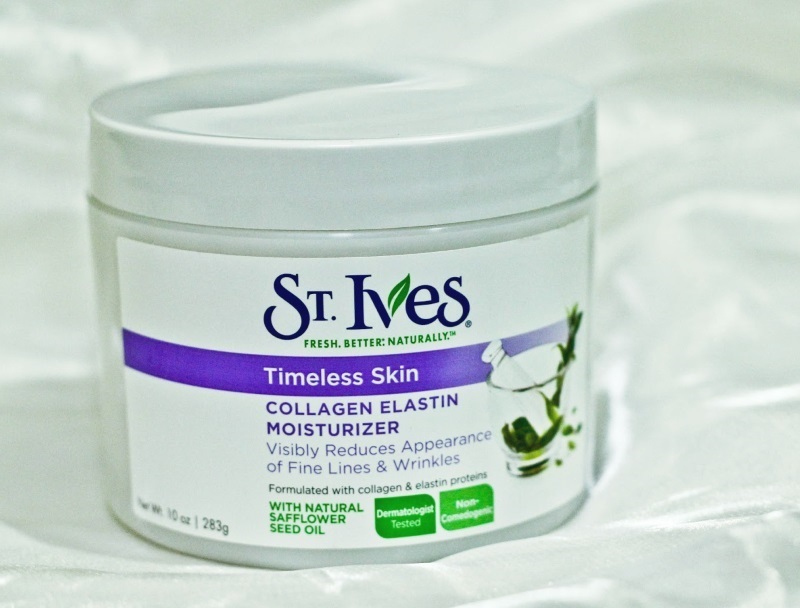 Today I wanted to share with you my thoughts on a great skin care company called St. Ives. Now if you’ve never heard of St. Ives before, I don’t blame you. I never heard of it either until a few years ago when I was living with my then roommate after college. I basically saw it sitting in our bathroom and I was simply curious about what the company was, since I had never heard of it. When I asked her what St. Ives was, she almost instantly started gushing about the product, and I had to try it out for myself. 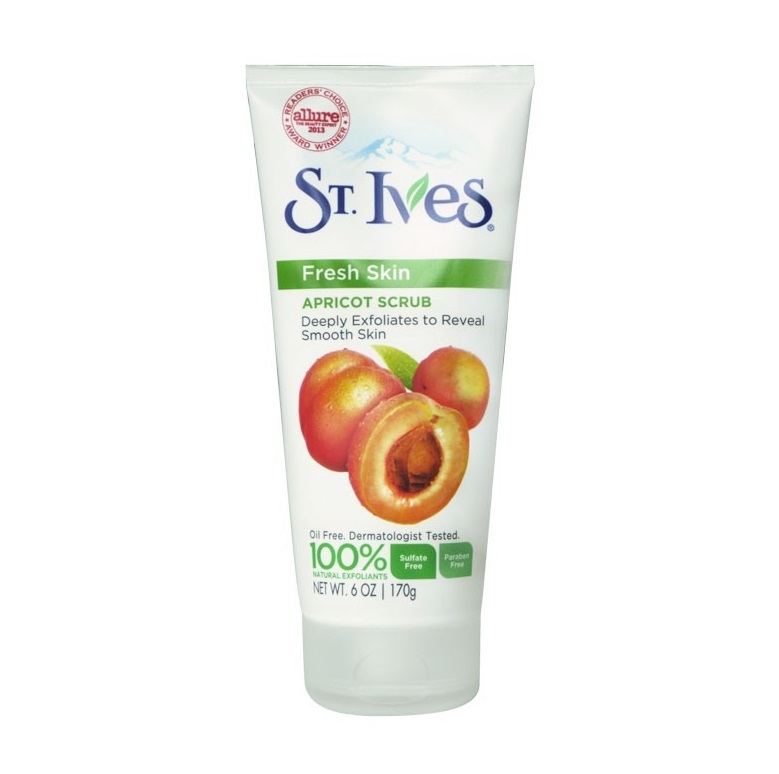 Although St. Ives is not the most well-known brand in the world, one of their most famous products is their Apricot Scrub facial cleanser. After using that one product, I knew exactly why my roommate was gushing over St. Ives and instantly became a fan. And over the years, I’ve realized that that Apricot Scrub was really representative of the sort of quality that St. Ives provides in its products, which is why I want to talk more about why I love their Apricot Scrub. And before you go any further, let me just say that I still actively use this exact same Apricot Scrub product in my daily routine, and I still love it just as much as I did when I first discovered it – I’m not retroactively reviewing the product years after I last used it, if that’s what you were thinking! What stood out right from the packaging was that fact that the product used real apricots. The fact that they used real organic fruits as the base of their product was encouraging right from the get-go, simply because there are so many products on the market that don’t have any truly natural ingredients to them. In addition, this Apricot scrub (and many of their other products in general) were completely oil-free. I was honestly surprised that they didn’t emphasize this more in the packaging because that is really a game-changer. Without having any oil, there was no significant risk of causing me to break out any further, which I’d say is pretty important for a facial cleanser! And most important when it came to diagnosing the product before actually trying it out, was the fact that it was dermatologist tested! If you aren’t careful, a lot of other companies will try and get away with products that aren’t tested in a lab setting and simply use big flashy words to make a sale, but this product along with all of the other products I’ve tried from St. Ives are dermatologist tested, which really helps build consumer trust with their products and thus their overall company. When actually applying the product to my face, the first thing I noticed was the pleasant aroma of apricots. In fact, I actually noticed it as soon as I squeezed some of the cleanser out of the tube, once again just reminding me that this was a natural product that I could trust. Now this particular product was a skin exfoliator scrub, so there were little particles that resembled microbeads in the solution. However, they were almost unnoticeable until the rest of the main paste was thoroughly rubbed into my face, at which point all I was rubbing around were the small particles. The best way to describe the act of applying this product was simply that it felt fun. Knowing the product was natural, along with the fact that the product didn’t irritate my skin at all just made me feel good about the overall process, and had me imagining my new and improved face. And lo and behold, after a few days of using that scrub my very first time, I have seen noticeably softer and smoother skin, completely free of acne. And as I said earlier, I have been using this particular product ever since. Obviously one product doesn’t make or break a company, but as I mentioned earlier, I have used plenty of other St. Ives products, and all of them would earn similarly rave reviews. They are all natural products that have been dermatologist tested (many of them being oil-free as well), and they actually make me feel like I am cleaning myself and improving my overall skin quality without negatively affecting my overall skin composition. And as I mentioned earlier as well, you shouldn’t necessarily trust product reviews outright (even my own product reviews). But just know that St. Ives has my seal of approval, and if you don’t believe me, then try them out for yourself!